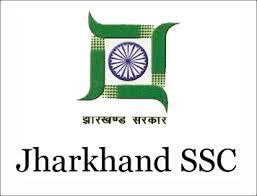 Jharkhand SSC Panchayat Secretary Syllabus 2018, JSSC Panchayat Sachiv Syllabus 2018, JSSC Panchayat Sachiv Previous Question Papers 2016, JSSC LDC Syllabus, JSSC Stenographer Syllabus 2018 – Jharkhand Staff Selection Commission (JSSC) has issued a notice regarding Panchayat Sachiv/ Secretary exam date. Candidates who are applied they need to download admit card to appear in the written exam on 21/28- Jan, 2018. The selection process of JSSC Panchayat Sachiv made on written exam score, so candidates who are preparing for JSSC Panchayat Secretary/ Sachiv posts they must and should check solved question papers of Sachiv, solved question papers, syllabus in Hindi, study material, books to get a high score in the written exam.